Nothing stays new in the nascent space of TV and online convergence. So aren’t you a bit surprised that “Social TV” is still a cool buzzword despite having been around for a few years already? Let me suggest in five steps why the term isn’t stale already by delving a bit deeper into the relationship between TV and Society. The strength and depth of that bond is one possible explanation of the buzzword’s longevity. Tribes or clans gathered in caves around a fire in the stone ages. We know that they had paintings on the walls, so there has been media to share and react to in a group about just about as far back as we go as a human race. Our more recent western memory contains things like evening reunions around a fire in a village hall. The absence of any formal media exchange outside of the close nit communities created a strong sense of belonging. The printing press was the first mass media and brought around radical changes in society. It enabled both knowledge with education and propaganda with mass control. Mass media, even before TV had an “atomisation” effect on society as individuals could identify with groups outside of their local community. From a societal perspective mass media kept its Jekyll and Hyde aspect with the arrival of motion pictures and radio. The dark side is illustrated with Hitler’s rise to power relying on the control of media. The “Hypodermic” theory of media states that you an only “inject” an ideology into the masses if individual are “atomised” enough to be open to such influence. I remember in the 70’s hearing how TV had disrupted evening gatherings in small communities and what a bad influence it was therefore having on social cohesion. The child I was understood that societies were going to breakup because we were spending less & less time communing together. I kind of got the point as a kid, but always had a niggling feeling that it was just the older generation scared of change. Getting together with friends to talk about the movie we’d all seen the night before seemed to have a much greater cohesive effect than any boring village gathering I imagined. In offices there were decades of coffee machine chatter about what aired the previous night – one decade alone for Dallas and in the nineties millions discussed who had killed Laura Palmer in Twin Peaks. The first cable networks with their ever-growing channel line-ups only lessened this effect gradually. It was just the audiences in developed markets that started to fragment, but they still fell into pretty huge clusters. Until the 90s, the market-leading channel in many countries (except the US) used to have over 50% viewership. It had been that way for decades. Then in one short decade they mostly went from the ~40% mark to something more like 20%. Although the cake has gotten much bigger, their share is so much smaller so that there is no clear market leader in many markets. The fragmentation process only really speeded up and created small fragments when new technologies like IP enabled distribution to smaller audiences from a business and technology perspective. I used to be a Social TV sceptic until the power of the second screen dawned on me during Six Degrees’ 2010 Social Media show where I first met industry luminaries like Tom McDonnell & Richard Kastelein. Since then, dozens of start-ups have hit the news and kept the buzz going. Yes, indeed there must be hundreds where the dozens come from. Zeebox is a recent example from the UK. It is based on companion screen Social media and currently enjoying the peak of its hype phase. After Channel 4, then Sky signed deals with Zeebox, it looks like there is something behind the hype already. So we’re back to square one, with people getting together in the virtual village hall out in a rural community to share an experience and talk about it. Off the cuff, Social TV has as many similarities with pre-TV society as it does differences. Similarities include: both are about sharing a media experience, then they both include discussion, exchange and even fighting about that experience. Both Social TV and village reunions are also where decisions are made on what the next show or story will be i.e. recommendation and finally they both require a common set of cultural values to function, i.e. a common language. The new business models and monetization opportunities may be all-important for our industry, but they have no social impact and so don’t count as a difference. The real societal differences stem from the virtual aspect of Social TV. Village halls are brick and mortar just as a cave is rock in a specific location. 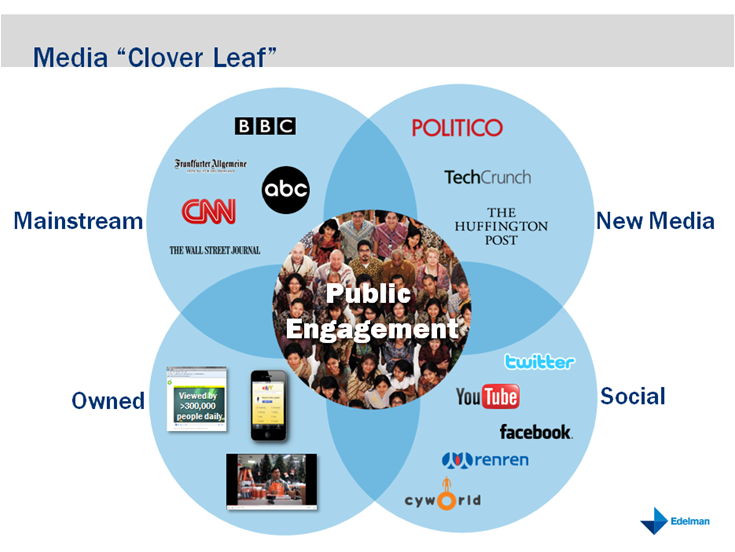 Social TV is about virtual communities. Social TV brings scalability. Scalability down as you can find at least one person somewhere to share your ultra-niche content experience with as well as scalability up where the virtual cave can expand to accommodate every Manchester fan in the world. There is still a vestige of the old world in IP geo-blocking that limits the access to some services to people from certain countries, but its only a mater of time before geographic limitations vanish altogether. From 2004 to 2010, I must have been to well over 25 IPTV or broadband conferences. I’ve presented, held a booth, run a workshop or chaired sessions. In the last year I’ve also taken up blogging from these events. But all were trade shows and the life span of their conferences is inversely proportional to the energy the organisers deploy to milking the event for profit. So its rarely a good sign when these things get too big if it’s the conference you’re interested in. When I first heard of EUROITV2010, an academic digital TV conference, from Arian Koster of KPN, a few months ago, I wrote to the organisers saying who I was and that I was interested and could help promote the event. I was half expecting to be invited as a guest or something. I got no answer. Of course that’s always a bit off putting; but getting past the vexation, my curiosity was piqued. At last I would go to a conference where presenters have to fight amongst their peers with the quality and originality of their presentation to get a slot. It is not the amount of money you’re paying for a sponsorship package. So here I am on the plane on my way to a conference I’m paying to attend. The last time I paid was almost ten years ago! Actually the investment for the independent consultant I am, is only hitting home now: 500€ for the conference 400€ for travel, 350€ for accommodation and I expect at least 150€ for extraneous (I’m flying Finnair so a beer & nuts is already 7€ for starters) is 1300€ plus three days away from home & work + missing the first two world cup games. I really must get something out of this. After a day of around Tampere, one of the larger inland cities in Finland, I Was getting an idyllic view of the place. If Finland were only what my eyes have seen so far, then this is a land of light - this time of year at least - with no houses, just blocks of flats, beautiful people whose women have exclusively blond or jet black hair. There are seagulls in the city miles from the sea, pleasant fried fish smells at meal times, really boring handsets and market butchers with large Nokia blue-tooth earpieces. OK enough tourism, what about the content? Did academia stand up to my high expectations? Well yes in most ways. A trade-show conference is 30% rubbish, 30% boring, 30% OK and 10% interesting. EuroITV2010 showed a very different profile. From what I saw there was probably as much rubbish (lets round it at a third), but then the rest was all interesting, with another third being scientific reasons that explain hunches a lot of us have in the industry, and the final third being really new, at least to me. I attended the Quality of Experience workshop the day before the main event. Of course it had a proper academic title (QoEMCS or something), but really was just a QoE workshop. I was the only non-academic out of 12 participants. A first researcher presented a huge mobile 3D project that must have cost lots of our tax Euros. They have uncovered some stereo Video encoding issues with a current debate on MRS Vs. AVC Simulcast. The project started using DVB-H, which was politically correct at time of project funding. “Actually a very good standard form a technical point of view” according to the presenter. In the work done so far, an interesting hypothesis has arisen that 2D & 3D artefacts are independently perceived. What this means was left to the listener to deduce, I suppose that must be the academic way of seeing who’s a member of the club. I’m not a member of that elite club yet and didn’t get what the implication of this hypothesis might be. 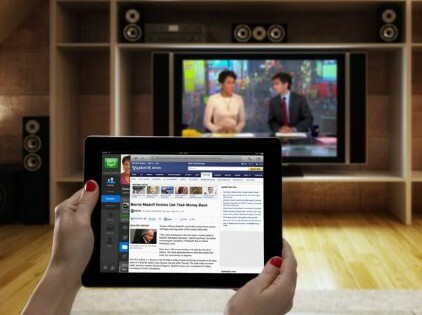 Focus groups conducted within this research program concluded that user expectations of mobile 3DTV were primarily for social gathering: to achieve a sense of “being there”. In terms of content the two genres that came up most as potentially interesting were action movies and documentaries. Mobile 3D coding is less resilient to network error and is therefore harder to standardise than 2D. Amongst ongoing challenges, the project team is working on an objective perceptual quality metric for mobile stereo-video, which delves into neuroscience as much as into video expertise. 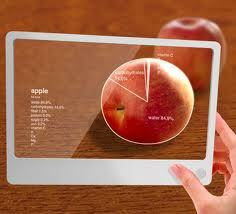 Priorities for bringing 3D to the mobile devices are first the User Interface, then games, video being last. The corpus of 3D cinema that will be available with films like Avatar will pose a challenge. They are designed for viewing from a distance. It will be difficult to repurpose them for mobile and “convert the baseline” or extend the background. Then followed a short punchy presentation of user driven adaption of H264/SVC streams. Its was one of those “why didn’t I think of that” moments. Rather than have streams adapt, just on available bandwidth parameters, this idea is to let the user influence the adaption of bandwidth, frame rate or resolution with several use cases. When there is incomplete information on usage environment, when the user’s interest in the content varies significantly, when billing conditions change, … This is just a project proposal but so far Jordi Ortiz from the University of Murcia in Spain has considered 3 adaption parameters: varying priority, adjusting minimum values and bandwidth adaption. I said academia has its quota of time wasting and there followed a really lame presentation on QoE measurement from multiple points in the networks: several years behind the industry. The next talk was one of those “I knew that was true, but now I know why” moments. Controlled resource reduction affects QoE much less than uncontrolled packet loss. Doh! A few slides of arcane scientific explanation illustrated how the overall Quality of Experience is less affected by lowering bit rates proactively than by letting packets get lost at network bottlenecks. The researcher came up with a really interesting question: “If we knew why users leave streams, QoE tools could improve by a quantum leap.” That’s the beauty of academic research. We can ponder this even if there is still no workable way to progress this issue. Yohann Pitrey, from Nantes University then gave a crisp talk about research he’s conducted into ‘Subjective Quality Evaluation of H264 HD Video Coding Vs Spatial up-scaling’. The study clearly shows that it is better in QoE terms to downscale rather than interlace a full HD video to save bandwidth. Interestingly the study also shows that 720p at 6MBPS is close to 1080p at 9MBPS in user perception of quality. Shelley Buchinger from Vienna then gave a short talk on findings from her project on ‘Content Aware enCoding for Mobile TV’ or CACmtv for those in the know. An interesting question was that if the minimum number of non-expert users required to test video quality is 15, how many expert users does it take to produce video quality measurement (MOS) that is as reliable? The University of Vienna study shows that you can achieve similar results with just 6 expert users & simplified procedures, but interestingly only as long as the video used to benchmark has only one Area of Interest. A presentation on using Metadata for video quality assessment reminded us of the shortcomings of the usual suspects like MSE or PSNR for determining signal quality. There was a new one for me: MSSIM, which is a Mean Structural SIMilarity index. It uses luminance, contrast and more importantly structure, to compare a reference image with the one being tested. Apparently it’s been around since 2004 and competes with another new approach called VIF. Quality impairments in dark regions are less important than in light ones. An MPEG7 semantic description of sequence helps define a region associated with the semantic content so quality assessment effort can be focussed there. Florian Wamster from the MNRG lab in Würzberg, Germany presented a project which should really turn some heads. YoMo is a YouTube “Application Comfort” Monitoring tool. Their starting question was how to measure QoE for YouTube viewing. The worst influence on YouTube viewing is stalling when the video just stops before the end, waiting for the buffer to fill up again. The results so far use both network parameters and the YouTube API and show that network management could react if stalling seems likely. Operators could soon offer premium services with enhanced YouTube viewing. The last presentation from the QoE workshop basically explained that there’s a trade off between the quality of the image and the time users are prepared to wait for it to load. Wow that was worth coming to Finland to hear. Oh yes, there’s an HIQM metric used to measure this. The conference itself kicked off with a sleek presentation on the future of content distribution by Siemens’ Marcos Gonzalez-Flower. He compared broadcasters with Venetians and warned: "the battle for the lounge is almost over and the natives are revolting". It was witty and entertaining but didn’t contain any new information. During the coffee break I saw a demo of http://www.smeet.com. It’s a lightweight Flash based virtual world particularly suited for watching YouTube videos with your buddies & discussing the film. 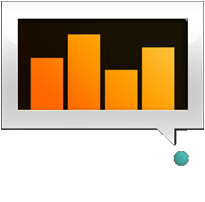 http://madm.dfki.de showed a video content analysis demo called ‘smartvideobuddy’. The demo was impressive for automatic tagging within narrow range of possibilities. The demo said which of 16 predetermined sports was this video about. But this kind of approach doesn’t work at all in a context where you have no idea what the video is about. Mike Darnell for Microsoft’s MediaRoom gave an interesting presentation about ad-skipping, which is the most frequent DVR interaction. It turns out thumbnail-skipping where users get to skip over each add represented as a thumbnail at the bottom of the screen is the preferred method, but unfortunately it’s bad for brand recall. Ad skipping is or course a much bigger issue in the US, I can only hope it stays that way. A “Hypernews” project by Päl Aam of Volda University in Norway was about clickable or hyper-video to go beyond the typical 90s TV news story (which is roughly 200 spoken words). The idea is to go beyond the shallow pieces without nuance. I must have misunderstood something because this really gave me a sense of déjà vu. Tanja Erdem, a rare non-academic, from Momentum, Istanbul described the complete environment including authoring tools that they have built for getting PPT and PDF on TV. Their market is eLearning and exams. For once it was something down to earth but maybe the price to pay for that was that it was that it wasn’t very intellectually stimulating. A thought that has been germinating in my mind for a while, finally came to fruition during the last panel of the day as Roger Lay of SapientNitro gave a suave talk including a Friendly Filtering concept (actually FF could also mean Fast Forward, or skip all the junk and get me to where I want to watch). Content recommendation has been a key concern of mine for 5 years, but with OTT here at last, for the TV it’s more about getting rid of all the rubbish. Recommendation was yesterday’s battle when we thought VoD would succeed within walled gardens. OTT changes that: "Friendly filtering' is the new mantra! During the panel Jussi-Pekka Koskiranta from YLE the national Finnish broadcaster told us that live TV viewership was doing fine for adult and kids segments, but not for teens. So their WebTV efforts target them in particular, with Internet-only programs and a chat-enabled viewing experience. The service is apparently successful but we didn’t get any hard figures to prove this. Olof Schybergson, CEO of Fjord, a Nordic user experience (UX) company that was involved in BBC iPlayer rollout, told us that "the couch potato is resistant to change but technology has already taken him away from linear TV and there no way back." There was a whole stream of presentations about market research techniques. Despite never-ending process enhancement, I still feel that research based on asking people what they want remains as shaky as ever. You can always get the research to say what you want. The latest trend is about “living labs” where a few families are followed in their usage for several years. Maybe this will help change my mind on this sociological approach. I had to miss the second day for personal reasons. So I’m looking for a write up of that. And of course EUROITV2011 in Portugal. I’ve been called an IPTV veteran, which makes me feel a bit outdated. People must unfortunately be right because the biggest surprise when I first arrived at the Social X event in London on Tuesday was how much younger people were, with trendier clothes and many more women than at your typical “veteran’s” IPTV event. (the X in Social X is for Media, TV, Mobile, Enterprise or anything else you fancy). Also, apart from a few Nokia-laden Scandinavians, non-iPhone users were very hard to spot. In fact it almost felt like an Apple convention, with dozens of MacBooks (all pros so there must be money in Social X for now) for maybe just 3 or 4 PC’s sighted in all. I first spoke to TV Genius. In my initial daze about how different it felt, I was wondering what a content recommendation company was doing here (or maybe I’d got it wrong and was already at IPTV World Forum) until it dawned on me that the very first really powerful feature to come out of any social X network is … wait for it … recommendation. Well Social recommendation at least. Doh. TV Genius is a 30-person company with a B2B model, offering search and recommendation services on sites like theGuardian.co.uk and in some IPTV deployments. I was surprised to hear that the extra content added around TV listing is still only more video content. I was expecting more OTT features like actors bios from Wikipedia or something. TV Genius told me that this is due to their clients’ requirements; their technology could apparently do it all. So far all implementations including the latest with Fetch TV have a walled-garden feel to them. TV Genius, like its competitors, uses a mix of approaches and technologies. If full anonymity is required then you can only use an approach based on the content itself. TV Genius then use a map built from anonymous user activity. The lines and bubbles on the walls of their booth are meant to convey this map. Explicit profiles can be supported, but this seems less relevant in the TV space than on the web. Many of the technologies under the hood like collaborative filtering grew up with the Internet over a decade ago. I’d be running a bit scared if Amazon were to enter this market directly. I popped into the Cloud Computing conference to get a flavour of what this new buzzword is all about. Just enter those three words into Google and you’ll see what I mean. Eachen Fletcher from Sporting Index gave one of those refreshing talks where he had nothing to sell, just experience to share. Is this just a little step forward draped in oozes of hype or something real? Like with the whole social X thing the jury is also out on this one. But gosh, I feel even more of veteran in this IT environment. I remember back in the late eighties when object orientation was going to revolutionize IT. Sure it happened, but quietly, the hype just dissipated into the ether. At the same time HTML came to enable exciting web features then Java for the apps. When it turned out to be a mess of non-maintainable spaghetti code to get anything at all sophisticated up and running, XML came along with its style sheets to separate presentation from content. Around then Larry Ellison took on Microsoft with his net computer concept, and lost. The feeling I got is that cloud computing is another episode in this same drama. Much of Ellison’s vision may just have been off by a decade or so because the web wasn’t yet ubiquitous. If I were an IT manager in 2010 I’d have a team focussing on cloud computing, especially while it’s financially trendy to shift CAPEX to OPEX. That’s the biggest benefit of cloud computing, i.e. spending a lot less to start with even if the bill, 10 years on, ends up much bigger. Back to Social X, Tom McDonnell is the man to talk to for some straight answers here. He started testing games while still at school in Liverpool. He looks young enough for that to have been yesterday so he must qualify. But after listening to him I do believe him that it was over decade ago. He’s a techie who has kept a customer-centric approach like the CTO of a content company or the CMO of a tech one. He met up with the cofounder of his current company Monterosa while working on BBC’s ‘Test the nation’. They left in 2003 to build the web part of the program. Since then they have specialized in real-time elements to make the TV experience more enjoyable. I suppose that’s one of his definitions of Social TV (see Agit8or’s blog and comments for more or Tom’s own definition here). When I questioned Tom about how hard Social TV is to implement in an open i.e. OTT environment, he lamented the absence of an open standard, albeit one that simply identifies shows uniquely. McDonnell is sceptical about obscuring the main TV screen with anything widgety, especially when a good show is on. He points out that Social TV is usually personal even when it’s around a family TV show. For the time being Monterosa therefore sees Social TV as being a multi-screen experience so you can be uniquely identified and have some privacy. Tom agreed with me that many platform operators will try to retain control through technology and that a conflict of interest could arise with TV stations. That’s why some big Telco TV operators are trying to do business directly with the production companies that own the big shows. In the afternoon, the panel I chaired was on the challenges faced by existing TV platforms to embrace social TV. Actually, we only had Cable platforms around the table with lively speakers from UPC and Virgin so I tried to stand in a bit for the DSL crowd. The supplier NDS and the industry body GVF made up the rest of the panel. Despite my insistence, it turns out that the tech challenges are quite hard to pinpoint. The Appstore ecosystem captured a lot of attention with questions and comments from the audience too. That at least does have a little technology issue to it, i.e. you need an application environment rather than just a web one. NDS pointed out another: we will not be able to build Social TV with Apple’s approach to third party apps. Full multitasking will be required so you never lose an instant of the live program even if there is a surge of tweets … Apart from that it does seem plain sailing from a technology standpoint. I agree with Agit8ors comments on the surprising lack of Canvas talk at the conference. I tried baiting my NDS speaker with the fact that they are linked to Sky, a would-be Canvas-killer, but to no avail; he just smiled back politely. I took the panel through one of the traditional crystal ball sessions. NDS sees non-content-aware widgets dying out this year. Recommendation and specifically social recommendation (i.e. recreating the water-cooler moment) is Virgin’s bet in the short term for mass-market adoption. GVF sees more user generated content pushing social X forwards whereas UPC will be happy if the Red-button just gets a bit sexier and Flash(ier) this year. An interesting question came in from twitter on whether Social TV would remain market specific or if we’d see some international communities emerging. Nobody agreed on this one and UPC saw it as a non-issue as most programming is market specific; the Anglo-British Virgin Media unsurprisingly concurred. I pointed out that if Social X takes off significantly this could blur some boundaries and globalize the market a bit more. Writing this now I find it a depressing prospect. I wonder if is significant that the only meeting I’d set-up in advance, with Sofanatics, a company that is a Social TV pure player, didn’t materialise because of missed tweets. Sofanatics create virtual rooms for fans to aggregate and cheer on their teams. I later found a tweet saying they had 26,000 visitors and 2000 registered users during their winter Olympics push for the hockey semi-final between Finland and the US. Visitors came from 92 countries. I caught up with Toni Laturi from the Finnish Company, who cheered me up on globalisation at least. He said, “What we learned is that the viewers really wanted to share their emotions and passion online. One guy even promised to pay his TV fee because of the service :). Expats were very involved, although that could also be due to the difficult times of the games in the middle of the night for most of us”. It looks like Sofanatics should share their data with UPC, who don’t see Social TV crossing borders. I left this conference with new ideas. Firstly, I won’t let the hype around Social X hide the underlying paradigm shift from me anymore. I came to the conference from an IPTV perspective, narrow-mindedly expecting Social TV on the big screen. Well no longer. Tom McDonnel convinced me that, in 2010 at least, Social TV will be a multi-screen experience i.e. laptop or iPad on your knee or Smartphone in your hand. One of the conference speakers also pointed out that the TV hardware lifecycle just couldn’t match the required pace of change of bleeding-edge technology. Maybe that’s where my lingering doubt about the technology block comes from, because all the people I spoke to were adamant that technology isn’t the issue for social TV like it was for IPTV a few years ago. My feeling like an old fart among all the youngsters was compounded by a sense of déjà-vu. Social X conferences in 2010 feel just like IPTV conferences did in 2005. Being part of a secret elite ‘in the know’. We gambled then that we were onto something big and even if IPTV still has a long way to go it looks like we were right. What a coincidence, Ian who runs the show, also started the IPTV World Series in 2005 and is one of the rare people to have made some money out of being right with IPTV. See ya next week to rant and hopefully rave a bit about that too.